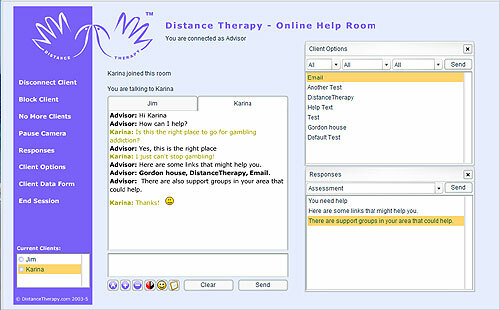 My first project as owner of Neo-Archaic involved designing a logo for Distance Therapy: a UK charity that helped people with gambling addiction. The initial brief was to design the logo and front-end of the website for my client, Datasmith, who provided the back-end. After the website launch, I continued working with Datasmith on various projects. 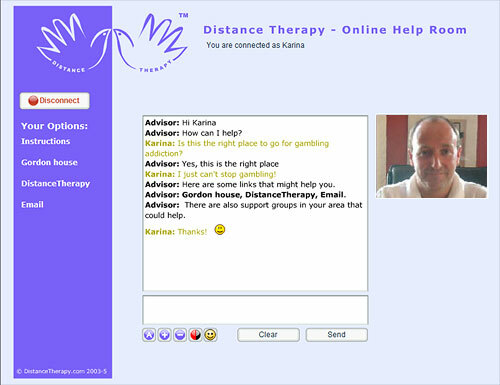 The most interesting of those, must be the “Online Help Room” application: Advice and Group Counselling Rooms which allowed orgnisations to hold online meetings, provide counselling, run helpdesks and group therapy. I developed the help room in Flash and the FlashCom (FMS) server, and the features included text chat, video, and voice capabilities. This project has been used for gambling, alcohol, and drug abuse therapy.